San Luis Obispo is the place to be in June . Tickets are on sale now for the SLO Vintners popular "Roll out the Barrels" wine weekend event. Their 22nd annual "Roll out the Barrels Weekend" begins Thursday, June 21st and runs through Sunday, June 24th. There will be 30 wineries within the San Luis Obispo Wine Country Region participating. The weekend wine event consists of 3 major components: Barrels in the Plaza, Winemaker Dinners; Social Events, and the ever popular 2-day Passport to Wine Country. In San Luis Obispo's historic downtown Mission Plaza, SLO Vintners will feature "grown here, made here with Perfect Pairings!" from 5:30 - 7:30 pm. Wineries will partner with local chefs side-by-side offering a blissful sampling of specialty cuisine with an array of fine wines. This will be the ultimate way to celebrate SLO's culinary experience right in the heart of San Luis Obispo. Guests will groove to live music from local Rock, Reggae and Blues band, "Soul Sauce". Tickets are $30 each. Enjoy an evening with the winemakers and principals of the SLO Vintners for delicious dining experience, and hear from the people who shaped the region. More details on these dinners can be found at slowine.com. The annual two day passport portion (Saturday and Sunday), will allow visitors enjoy San Luis Obispo Wine Country and visit up to 30 member wineries. 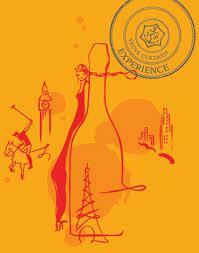 Passport holders will experience wine and food pairings, reserve barrel tastings, entertainment and special discounts. Saturday is typically the grand affair, while Sunday is focused mostly on the wines and special discounts. "This event portrays the beautiful place that we live, and the bounty it provides for us," says Heather Muran, San Luis Obispo Vintners Executive Director. "Not only is it a great educational weekend, but it's 'over the top' when it comes to the food and wine presented at all the events. This is the perfect weekend adventure, for both locals as well as for out of town tourists longing for a small town escapes." Several hotels are offering special 2-night stays along with tickets to Roll Out the Barrels weekend. 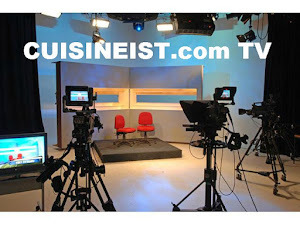 Participating hotels can be found on the slowine.com website. For a current list of participating restaurants for Barrels in the Plaza, and winery events for Passport to Wine Country Weekend, visit our website at www.slowine.com. 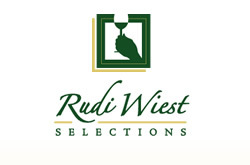 Rudi Weist Brings Germany's Best Dry Wines To Trilogy Fine Wines And A Who’s Who In The Las Vegas Beverage Industry. Wirtz Beverage brand new Trilogy Fine Wine and Spirits division got off to a fast start with the Crème de la crème of the Las Vegas beverage industry. Legendary Rudi Wiest himself of his namesake import company came to Wirtz’s Alchemy room with a palate pleasing line up of German Dry Wines. 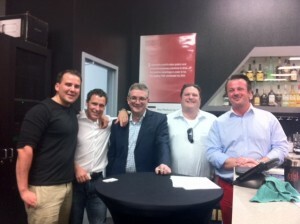 No importer that we know of has the knowledge of Rudi Wiest when speaking on the topic of German wines. On this visit he brought a hand selected group of small family owned wine makers from the best wine making regions of Germany. Marcel von den Benken from Schloss Schonbron in the Rheingau explained that his 2010 Dry Estate Riesling is characterized by high acidity and the 2011 Vintage had a much longer hang time. On the palate both of these amazing Rieslings were nicely balanced, soft and feminine in style. Kunstler winery featured four Rieslings and a lovely Pinot Noir. Carl Erhard from the winery explained that he concentrates his efforts on making grapes for wine and not wine making. Growing fruit is the most important aspect in the wine. As any experienced wine lover knows, the best wines are made in the vineyard and not in the winery. Carl Erhard follows that tradition to a “T”. As we tasted his 2010 Dry Riesling “old vine “ Stielweg, Carl explained that vines that average 55 years in age. Carl also added that he felt the 2012 Vintage will have a long ageing potential. The Kunstler Pinot Noir Estate 2009 features sour cherry and surprisingly big tannis. 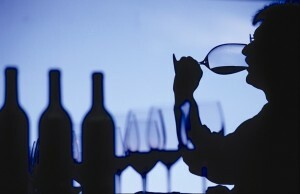 Many people consider German Pinot Noir something that is relatively new. 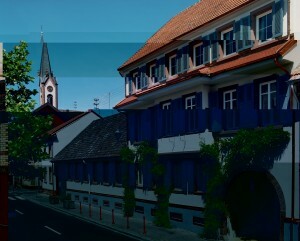 In fact, winemakers have been making Pinot Noir the Rheingau for over 800 years long before they planted Rieslings . 2009 was warm year which should translate to a spectacular vintage for Pinot Noir and this Kunstler will not disappoint. 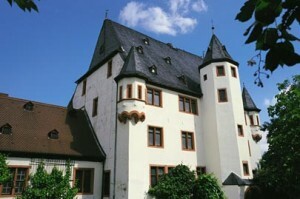 Weingut Rebholz produces some very fine Rieslings, Pinot Noir and even a Pinot Blanc . Hansjorg Rebholz himself made the trip across the Atlantic to show off these very special wines. As we began tasting through his wines, he explained that his Grand Father started the winery in the 1940s and they specialize in making wines as natural as possible and are Bio-Dynamic . We were pleased with the Pinot Blanc and the Rieslings. Both were refreshing, featuring big apple and melon notes on the nose and palate. Before moving on to the Pinot Noir we found a real stand out. The 2010 Dry Grosses Gewachs , Ganz Horn. On the nose and palate, this wonderful wine drinks like a Grand Cru. Classic earthy notes, mineral and citrus make this Riesling a stand out. All of the Rieslings from Weingut Rebholz should be at their very best after 5-6 years. German Pinot Noir is always interesting because Pinot Noir is very terroir expressive. Vineyards with micro climates can produce Pinot noir that are very different and only meters apart. The 2009 Pinot Noir Spatlese Dry “Tradition “is a good example of this. This nice pinot has classic signatures of sour cherry, light tannis, all-spice and oak. 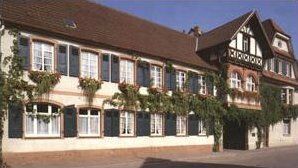 Weingut Dr Heger / Weinhaus Heger produce Pinot Gris , Pinot Blanc and Pinot Noir that show off the versatility of the region . 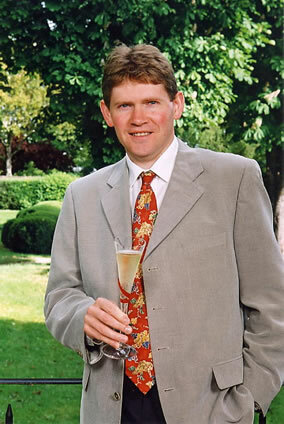 Markus Mleink took us on a tasteful journey through his wines. Like many of his colleagues, its hands off in the winery and all the work are done in the vineyard. Tasting his 2011 and 2010 Pinot Gris side by side gave a unique insight into the vintages a year apart. The 2011 had much more fruit and was more developed than the 2010, most likely because it was just bottled and the 2010 has “mellowed” with a little more age. Both are ready to be enjoyed now. The 2009 Dr Heger Pinot Noir Dry Grosses Gewachs , Ihringer Winkerberh was next in line to examine. This very nice Pinot Noir was a pleasure to taste. Classic cherry notes, earth, leather and spice come together with silky tannins on the finish. Can a pig famer make great wines? Sure they can and Weingut Becker proves it . Fritz Becker Jr specializes in Pinot Noir. The winery was totally destroyed in World War 2 and has come back very strong. 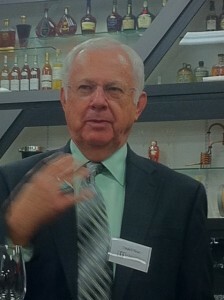 Fritz has been the winemaker since 2005. The 2009 Pinot Noir “Dry” Limestone was a stand out in his lineup and should have good age ability but can be enjoyed now. 2008 Pinot Noir Grosses Gewachs St Paul Grand Cru is a German Pinot Noir that we will not forget. Its elegant notes of cherry, earth, spice, leather and oak show what a Pinot Noir from the region should strive to be. Veuve Clicquot has a reputation as one of Frances finest Champagne houses that has lasted centuries . 2012 marks a signification milestone in both French and American Champagne history. The 230th Aniversary of the first shipment of Veuve Clicquot to the United States. What a better excuse to open a bottle than that. Of course , when you open a bottle of "Veuve" that in itself is a special occasion. Looking back at this legionary Champagne , it was f ounded in 1772 by Philippe Clicquot-Muiron and played an important role in establishing champagne as a favored drink of haute bourgeoisie and nobility throughout Europe. There have been other milestones prior to 2012 . In July 2008 an unopened bottle of Veuve Clicquot was discovered inside a sideboard in Torosay Castle, Isle of Mull, Scotland. The 1893 bottle was in mint condition, having been kept in the dark, and was the oldest bottle known to exist. 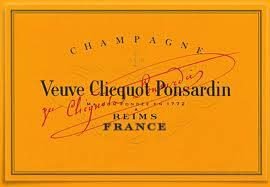 It is now on display at the Veuve Clicquot Ponsardin visitor centre in Reims and is regarded as priceless. In July 2010, a group of Finnish divers found 168 bottles from the 1830s aboard a shipwreck in the Baltic Sea off the coast of the Åland Islands. The bottles were initially claimed to have been produced between 1782 and 1788. They were sent back to France for analysis and found that some of them were Veuve Clicquot. Easily recognised by its distinctive bright yellow labels, the wine holds a royal warrant of Queen Elizabeth II of the United Kingdom. Veuve Clicquot recently celebrated the 230th Anniversary of the first shipment of Veuve Clicquot champagne from France to the United States. Stylized and bubbly, the video provides an inside perspective on the history of Veuve Clicquot. Speaking to the history of the first shipment of champagne to the United States, Cellar Master Dominique Demarville helps to celebrate the anniversary of the first arrival of Veuve Clicquot to the U.S.! Join Editor-In-Chief Elaine Harris and celebrate with Cellar Master Dominique Demarville and celebrate 230 years of Veuve Clicquot . Cheers !! The picturesque beach town Morro Bay, California will be “THE” place to be as the First Central Coast Oyster Festival will be held Saturday, June 16 at the Morro Bay Golf Course from 12 P.M. to 8 P.M. This new event will benefit OPTIONS Family of Services, a nonprofit organization serving the disabled or persons with developmental disabilities and persons with a traumatic brain injury (TBI). OPTIONS provide a wide array of flexible programs that are customized for each individual they serve, with community accessibility emphasized at every level. Services include residential living supported living, rehabilitation therapy, day programming and vocational training. 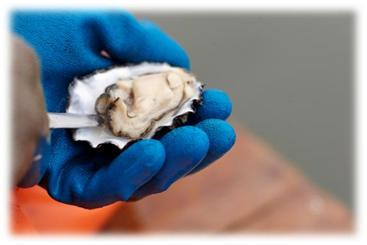 With a view of the Morro Bay Oyster Farm as well as the iconic Morro Rock, the Central Coast Oyster Festival will feature oysters from the Morro Bay Oyster Company, widely recognized as one of the greatest suppliers on the West Coast. Dozens of chefs from across the Central Coast will go head-to-head for the ‘Best Oyster of the Central Coast” Chef Award, and the audience will be invited to taste their sumptuous efforts. But while oysters will, of course, be the main attraction, other epicurean delights will also be available. Of course any any real oyster festival needs a shucking competition, and the Central Coast Oyster Festival, benefiting OPTIONS Family of Services, is no exception to the rule. Local shuckers will be invited to demonstrate their speed and skill to a live audience for prizes and the respect of the Central Coast community. In addition to the delicious flavors of fresh Morro Bay oysters, the festival will include special features such as whimsical structures from The Do LaB. Based out of Los Angeles, The Do LaB is world-renowned for bending reality through interactive environments, event production and creative lighting design. Prominently showcased at such high-profile gatherings as the Coachella Valley Music and Arts Annual Festival and Burning Man, The Do LaB takes an organic approach to everything they design and create, striving to bring their visions to life with natural materials, found objects and sustainable resources. 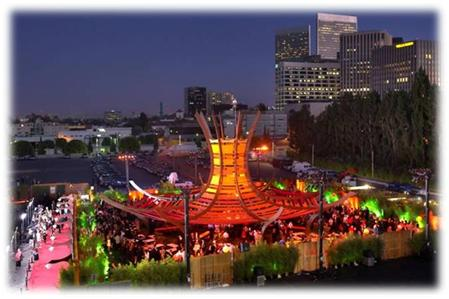 The Do LaB’s particular focus at the Central Coast Oyster Festival, benefiting OPTIONS Family of Services, will be the “Aphrodisiac Lounge.” This beautiful modern-chic pagoda will house a raw oyster bar, sparkling and still wines, cocktails, cheeses and chocolates. As an added benefit, local craft brewery Tap It Brewing Company is proud to release an exclusive micro “oyster brew” designed to perfectly complement the festival’s oysters in the Aphrodisiac Lounge. Headlining entertainment for the Central Coast Oyster Festival will be the multi-talented indie band Walk off the Earth, whose covers of Gotye’s “Somebody That I Used To Know” and Adele’s “Someone Like You” went viral on YouTube earlier this year. Additional bands for the event include TROPO, The Neon Russell Band, among others. 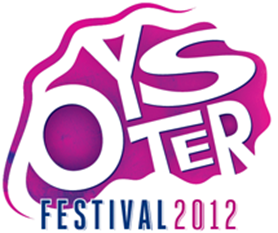 Tickets for this full-day experience of all things authentically Central Coast are a very affordable $20 and are available at www.CentralCoastOysterFestival.org. See you there ! Mark Thursday, May 24 2012 on your calendar. Many of the best restaurants of Las Vegas will unite again poolside at The Palazzo Las Vegas® for the Las Vegas Epicurean Affair. The event, sponsored by the Nevada Restaurant Association (NvRA), gives guests a taste of the gourmet offerings that have elevated the city to an international dining destination. 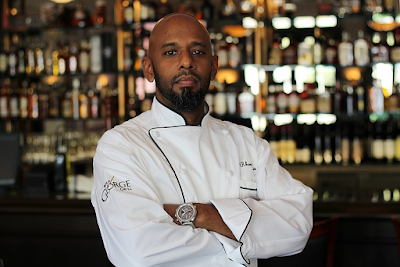 Hosted by The Palazzo, the Las Vegas Epicurean Affair promises a tantalizing evening of culinary splendor. Guests will savor samplings of cuisine and cocktails from prestigious restaurants and beverage purveyors in a luxurious poolside setting at The Palazzo for a palate pleasing event that is undoubtedly Las Vegas. Past participants at the event have included Bradley Ogden, Carnevino, CUT by Wolfgang Puck, Delmonico Steakhouse, Restaurant Guy Savoy, Morels French Steakhouse & Bistro, STK, Nobu Las Vegas, Prime Steakhouse, Table 10, Valentino and many other illustrious restaurants throughout Las Vegas. The Las Vegas Epicurean Affair is open to the public and will be held Thursday, May 24 from 7 to 10 p.m. at The Pools at The Palazzo. Tickets go on sale Wednesday, April 25 at LasVegasEpicureanAffair.com. General admission prices are $100 each and VIP tickets are available for $150 per person, granting early admission at 6 p.m. To complete the evening, private cabanas are also available for purchase. Proceeds from the event benefit NvRA’s educational and scholarship programs. 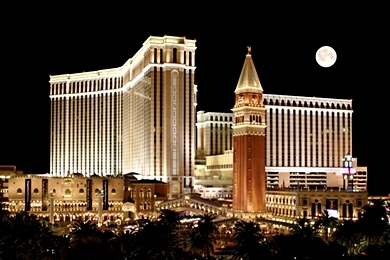 Book the Las Vegas Epicurean Affair suite package online beginning April 23 at palazzo.com or venetian.com or call 702.607.4100.